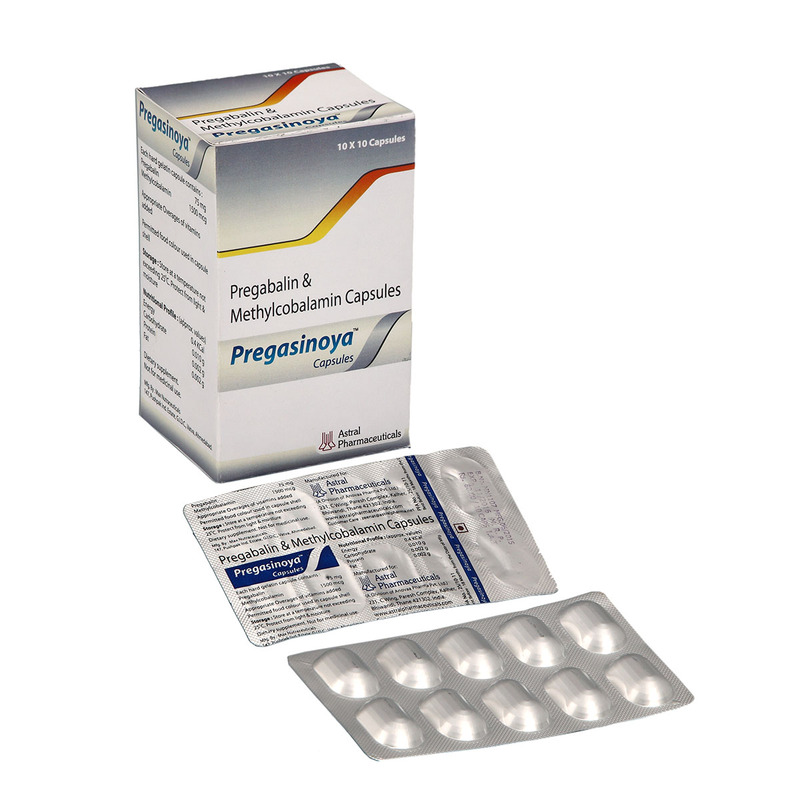 Pregabalin 75 mg + Methylcobalamin 1500 mcg Capsules. Alu-Alu Blister strip of 10 Capsules and such 10 strips are kept in a multicolor laminated nice box. This is available in jar pack also 1x100 / 1x500 packing on demand. Post herpetic neuralgia / Anticonvulsant drug with Vitamin used for neuropathic pain and as an adjunct therapy for partial seizures.This medicine is used to treat pain caused by nerve damage because of diabetes or some infection. Mecobalamin is a known vitamin & nutritional supplement. Conclusion: Pregabalin and Methylcobalamin capsules could improve the quality of life with improvement of nervous system, chronic pain, perioperative pain, migraine and enhances immune system. We are making our products with best quality of raw materials.